Lesson 1: Global Warming (2-3 days). In this lesson the students will watch a video about climate change and fill in details. After watching, I’ll allow them a few minutes to discuss their responses in small groups to provide increased interpersonal communication. This video replaces a Brainpop video that, unbeknownst to me required a subscription. I’m not sure why I was able to access these videos at the time, but since I’ve lost the ability to do so I’ve substituted other videos for each lesson. 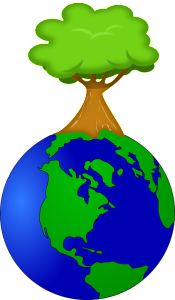 After the video and discussion, the students will read a short document (included at the end of the lesson) with things one can do to save the planet. I chose a shorter, simpler text than I had used last year, in order to shorten the amount of time spent reading as well as provide more language chunks that could be used for the interpersonal activities that follow. After the reading, the students will play a game in which they match behaviors and suggestions from the text that they read (Note: there’s an error in the directions, the yellow cards should be in the pile and the orange cards should be arranged face down). The purpose of this game is to introduce the phrases that they will be using to make suggestions throughout the unit. Each suggestion includes an impersonal expression requiring the subjunctive, which is a structure I’ve targeted for the unit. After this game, the students will interview a partner about the behaviors suggested in the text. I discovered last year that the students needed some more guided tasks before performing the open-ended role-plays that I had planned. After the interviews, the students will write a note to their partner with suggestions for how they can be more environmentally-friendly. I’ve included some sentence starters to further scaffold this task. Lastly, I’ve added the interpretive reading task from last year’s unit (Article: p. 1, p. 2)and two additional videos related to climate change. I’m not sure whether time will permit me to use this resources, but I’ve included them just in case. Lesson 2: Pollution (2-3 days). As with the first lesson, I’ve begun with a short video that the students will use to provide details and then discuss. After the video, the students will be assigned either the A role or the B role, and will read the corresponding article. After this interpretive task, each A will be paired with a B and will complete this interview activity. Again, I’ve developed a highly scaffolded task to enable the students to begin acquiring the targeted structure. This interpersonal activity will again be followed by a presentational writing in which the students make suggestions to their partner based on his/her responses. (They will speak with a different partner than they had spoken to in the previous lesson.) I’ve included last year’s interpretive reading (Article: p. 1, p. 2) and three interpretive listening tasks to be included in the lesson as time permits. Lesson 3: Deforestation (2-3 days). I’ve begun this lesson with an interpersonal task in which the students discuss two images related to deforestation. Next they’ll watch a video about deforestation and discuss the details they were able to identify. After the video, we’ll do a “speed-friending” type of interpersonal activity in which the students write 5 questions and then interview a series of classmates. For this activity my students will be seated in pairs of rows that are facing each other. They will have 3 minutes to interview the person in front of them and when the three minutes are up, the students in one row will get up and move one seat to the right. This will continue until each student has interviewed 10 classmates. The students will then write a note to one of their classmates, giving suggestions for becoming more environmentally friendly. Once again, I’ve included the reading from last year’s unit (Article: p. 1, p. 2) as well as additional videos on the topic. Since it’s still a work in progress, I’ll include the IPA for this unit in my next post. This entry was posted in French 3 Units on February 28, 2016 by madameshepard. Incroyable! Merci beaucoup, Madame. I cannot tell you how grateful I feel for the work you share. 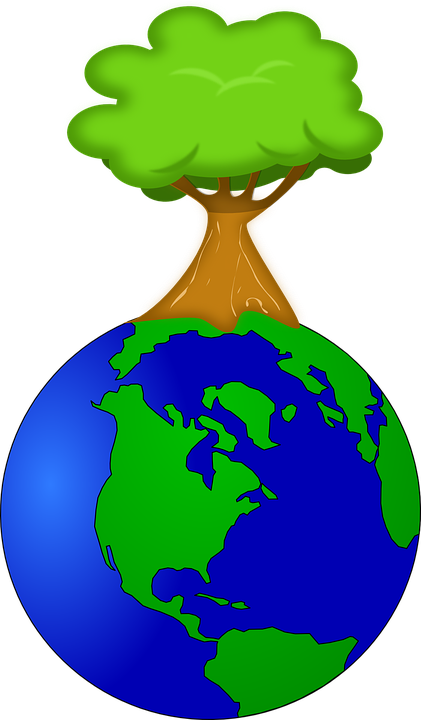 This unit Jour de la Terre is perfect – I try to have intermediate students focus on global issues and am personally interested in doing what we can to preserve our precious natural resources. Merci, merci. Not sure what motivates you to be so generous with your work, but please know how impressive it is and how grateful some teachers of French do feel! Thank you so much for your kind comments. My blog came about when I decided to modify my teaching practices and as the only French teacher in my building I had no one to collaborate with in this process. Thanks to you and the other generous readers who have shared their feedback, ideas and resources, I no longer feel isolated, just blessed to be part of this community. So, thank YOU for reading and sharing your generous words! This is just wonderful. I am teaching French 3 for the 1st time and was just trying to figure out what I wanted to do with them for the subjunctive. Et voila. I have a bunch of AP environment stuff too that I was going to mix in (I do more tolerance) instead of environment for AP now but this is really a big help! P.S. the subjunctive game…. If I create it (don’t know if you have time to share which is fine) just use a bunch of “suggestions” subjunctives? I’ll re-read it…. Hi Deana. The game cards document is now linked to the post. Let me know if you have any problems finding it. I did find a mistake in the directions, though, the words orange and yellow needs to be flip-flopped, we played today and the kids really enjoyed it, as silly as it is. I did realize that a few suggestions could work with more than one behavior. This might cause some friendly (?) debate among the students! Un grand merci de votre generosite! I think the link for the last video might not be correct, in Part VII, B. The questions do not seem to go with the video “Pourquoi des jours plus pollues.” I tried searching the site for the video that goes with the questions but no luck. Hi, Stephanie! Thanks for letting me know. Have you tried it recently? Another reader let me know about my mistake and I fixed it last week so I think the corrected document is now linked to the post. I just tried it and got the correct document. If it still doesn’t download the corrected version, please let me know. Thanks for your patience! Hi there! Thank you so much for this unit. Question: Is there a link for “On s’empoisonne la vie”? I am not sure if I am missing it somewhere. If so, my apologies! Thanks so much for everything that you share with teachers. I am back in the classroom after a 4-year break and you have been a lifesaver this year. We played the environment memory game today and the my students, who are generally hard to please, LOVED it (even though in correcting the yellow/orange instructions I somehow made them even more confusing). As always, I truly appreciate you sharing your resources! I noticed in your unit packet that the details questions were written in French. At what level do you start writing more or all questions in French as opposed to English? Also, is this a personal choice or is there a recommendation to do so at a particular proficiency level? This is one question I am still not super clear on. Merci! The ACTFL IPA manual is a bit vague about when to switch to TL questions. I use them with my level 4/5 class, because the AP test is written that way. I usually start weaning them off the English in the 2nd semester of French 3, in preparation for French 4/5. In this unit, my use of French was intentional because I had just gotten a new, non-English speaking student in my French 3 class and I wanted her to be able to participate in the unit. Je vous remercie pour toutes les ressources que vous postez. Cela m’inspire pour créer des activités sur votre modèle, activités qui incluent les 3 modes de communications. Je suis aussi impressionnée par la quantité de matériels que vous créez, considérant qu’il faut trouver les ressources authentiques qui vont servir de base à l’unité. Voilà ma question: comment faites-vous pour trouver toutes ces ressources? Je trouve que les textes de cette unité sont au niveau des élèves (par exemple : 10 gestes pour sauver la planète)? Il me semble que certains articles de magazines sont destinés aux Ados. Est-ce que vous êtes abonnés à ces magazines? Je suis désolée si vous avez déjà traité de cette question. Oui, j’abandonne a une magazine par an. L’annee derniere, c’etait Phosphore et cette annee c’est Astrapi (pour avoir des ressources pour des niveaux differents). De plus j’achete plusieurs magazines chaque fois que je voyage en France. Bonjour Madame! Your units are so helpful and I really appreciate that you share them freely. I have a question about vocabulary, not just for this unit but for many of the ones I’ve looked at. How do you go about teaching vocab? Usually there’s no vocab list included in the unit, so I’m wondering if you either don’t share the list, or don’t use a list and have the students discover the vocab organically. Thanks very much for any insight on how you approach vocab, especially in upper levels including IB/AP. I think this is a very important question! My ideas about vocabulary have evolved throughout the years, but I’ll answer your question as well as I can. So, in some cases I do provide a vocab list to my Novices, mostly to serve as a resource for presentational activities. I generally don’t give them the list until a few days into the unit, and the words on the list come from the authentic resources that I’ve selected for the unit. I don’t preteach the vocab in isolation, and most students just learn the words from the communicative activities in the unit. Although I have occasionally included a unit resource packet with my blog posts, it’s true that many times I have not–usually because I didn’t have it ready when I created the post! In other cases, I just didn’t get around to it. I found that many of my students did not refer to the packet for the reason stated above–they just didn’t need to. In the case of my upper level students, I generally did not prepare a list. At this level, they had acquired enough vocabulary to use context clues to figure out the meaning of new words and use them appropriately. I know that many teachers (and some students) feel more comfortable creating a list and I certainly don’t think there’s anything wrong with this! Thanks for reading and asking such as important question! I hope other readers will chime in with their own opinions and experiences! Bonjour! I’m looking forward to using this unit with my level 3. Did you ever happen to make an IPA for this unit when you taught it that you’d be able to share? You’ve already shared so much, I hope you don’t mind me asking. Merci mille fois! I am (and will always be!) grateful for your generosity. I hope your new ventures are going well this year!